Hawaii Outdoor Guides publishes its first free app for Android devices. 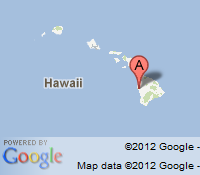 The app is intended for every United Airlines passenger flying to Hawaii and playing the Halfway to Hawaii game. The game will help to calculate the estimated time at the halfway point according to the numbers given by the pilot.